Carnival Cruise Lines will offer a series of unforgettable 10- to 14-day voyages on six different ships between October 2015 and February 2016 that feature extended calls at magnificent destinations throughout the Caribbean, Bermuda, Mexican Riviera and The Bahamas. 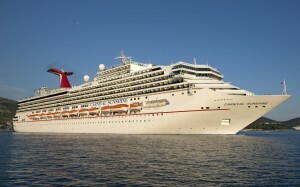 Reservations opened today on 11 different voyages offered on Carnival Miracle, Carnival Dream, Carnival Glory and Carnival Sunshine which depart from Long Beach, Calif., Port Canaveral, Fla., San Juan, Miami, and New Orleans and visit more than two dozen tropical destinations, including less traveled ports like Bonaire, Martinique, Dominica, Grenada and, for the first time on a Carnival ship, Tobago. Several of the 10- and 11-day voyages can be combined into three-week-long Caribbean adventures providing an unmatched combination of breathtaking ports of call, amazing experiences ashore, and fun-filled sea days, all at an incredible value. These new voyages are in addition to a previously announced series of nine 10- to 14-day departures to the Caribbean and Bermuda offered on Carnival Triumph from Galveston and Carnival Pride from Baltimore in 2015-16. “Based on feedback from our guests and travel agent partners, we’re delighted to offer these longer length voyages which provide vacationers an opportunity to visit some of the world’s most breathtaking destinations while enjoying all the wonderful on-board innovations and features found aboard Carnival’s ships,” said Terry Thornton, Carnival’s senior vice president of itinerary planning. 4-15, 2015: 11-day Caribbean/Bermuda cruise from New Orleans to San Juan featuring Nassau, King’s Wharf, Bermuda (overnight call), St. Maarten and St. Thomas. 15-25, 2015: 10-day Caribbean cruise from San Juan to New Orleans with calls at St. Thomas, St. Kitts, St. Maarten, Grand Turk, and Falmouth, Jamaica (the above two cruises can be combined to create a 21-day round-trip voyage from New Orleans). 14-25, 2016: a 10-day Caribbean cruise from San Juan to New Orleans calling at St. Thomas, Dominica, St. Kitts, Grand Turk and Falmouth (the above two cruises can be combined to create a 21-day round-trip voyage from New Orleans). 31–Nov. 14, 2015: 14-day Caribbean cruise round-trip from Miami visiting Aruba, Bonaire, Grenada, Barbados, St. Lucia, Antigua, St. Thomas and St. Maarten. 23-Feb. 2, 2016: 10-day cruise from Miami to San Juan calling at the private Bahamian island of Half Moon Cay, Grand Turk, Antigua, Martinique, St. Lucia, St. Kitts and St. Thomas. 2-13, 2016: 11-day cruise from San Juan to Miami visiting St. Croix, St. Maarten, Dominica, Grenada, Bonaire, Aruba, and Curacao (the above two cruises can be combined to create a 21-day round-trip voyage from Miami). 28-Dec. 9, 2015: 11-day Caribbean/Bahamas voyage from Port Canaveral, Fla., to San Juan visiting Grand Turk, St. Thomas, Tortola, St. Kitts, Dominica, St. Lucia, Antigua and St. Croix. 9-19, 2015: 10-day Caribbean cruise from San Juan to Port Canaveral featuring St. Thomas, Antigua, Dominica, Martinique, St. Croix, and Grand Turk (the above two cruises can be combined to create a 21-day voyage round-trip from Port Canaveral). 21-March 5, 2016: 13-day southern Caribbean cruise round-trip from Port Canaveral calling at St. Maarten, Dominica, Barbados, Scarborough (Tobago), Grenada, Martinique, St. Kitts and St. Thomas. Jan. 31- Feb. 12, 2016: 13-day Mexican Riviera voyage round-trip from Long Beach, Calif., calling at Cabo San Lucas (two-day call), La Paz, Mazatlán, Zihuatanejo/Ixtapa, Manzanillo, and Puerto Vallarta (overnight call). In addition to fantastic dining, entertainment and activity options available on board, each of these destinations offers beautiful beaches, interesting historical attractions and natural landmarks, and unique sightseeing, dining and shopping opportunities. During these cruises, guests can zipline across the lush countryside, view centuries-old architectural structures, visit world-class museums, and snorkel and scuba dive in crystal-clear waters teeming with tropical fish and other sea life.